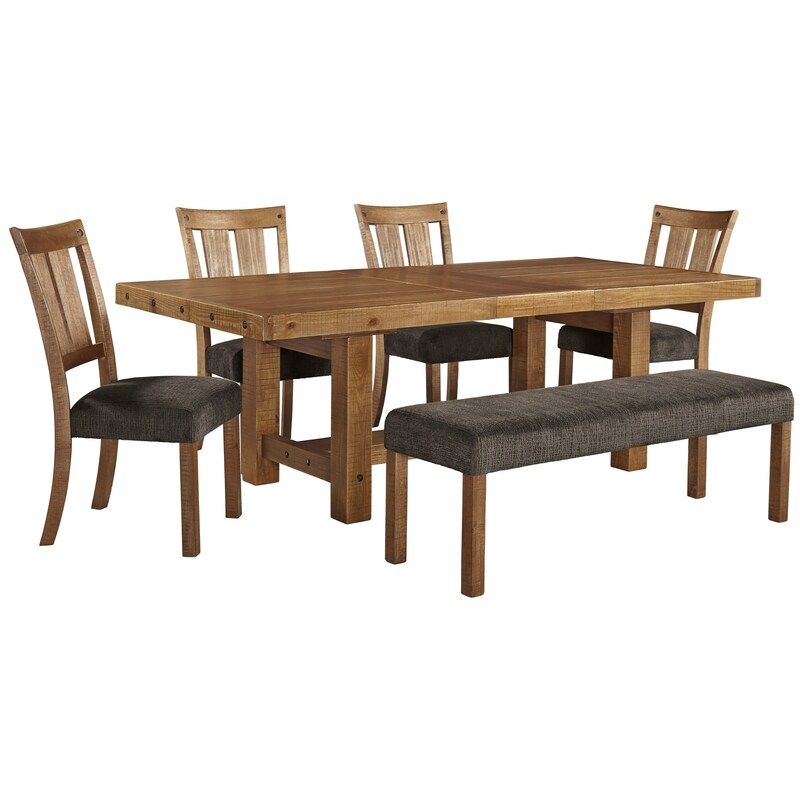 This six piece table & chair set with bench presents a unique dining setting. The table, crafted from pinewood solids and veneers, displays a brown/honey tone finish with exposed bolts and distressed and aged-detailed wood that culminates in an industrially-rustic style. The matching side chairs and bench highlight an upholstered seat designed for comfort and support. Able to extend with an 18" leaf, the table with the accompanying chairs and bench will give your family and friends a unique dining experience. The Tamilo 6 Piece Table & Chair Set with Bench by Signature Design by Ashley at Michael's Furniture Warehouse in the San Fernando & Los Angeles area. Product availability may vary. Contact us for the most current availability on this product.